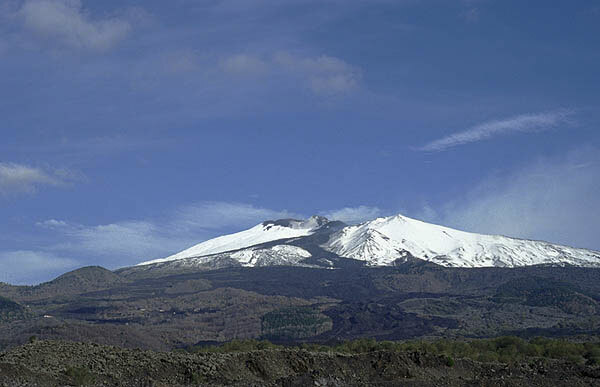 The available photographic material about Etna volcano on decadevolcano.net has grown so large, that it is presented on several pages grouped into years and events. Each thumbnail picture on this page leads to an individual photo page. 23-25 July 2001: Etna's flank eruption 2001 (1). 51 photos Bocca Nuova in eruption on 3 November 2000 (1). 26-31 October 1999: Lava flows and strombolian activity at Bocca Nuova (1). 26-29 July 2001: Etna's flank eruption 2001 (2). 62 photos Bocca Nuova in eruption on 3 November 2000 (2). 26-31 October 1999: Lava flows and strombolian activity at Bocca Nuova (2). 3-6 November 2002. Flank eruption (3) - S vent. 26 Photos 17-19 June 2001: 5 paroxysms (1). 18 photos Miscellaneous photos (craters, fumaroles etc.) May-July 2000. November 2002. Flank eruption (4) - Ash fall, people and the lava flow. 28 Photos. 26-28 June 2001: 5 paroxysms (3). 15 photos Etna's smoke rings in July 2000. 22-24 June 2001: 5 paroxysms (2). 29 photos 15-23 February 2000 (3): The paroxysm of SE crater on 15 Feb.
24-28 May 2001: Lava flows and skylights (1). 12 photos 15-23 February 2000 (2): The paroxysm of SE crater on 16 Feb.
30 May 2001: Lava flows and skylights (2). 15 photos 15-23 February 2000 (3): Miscellaneous photos of snow and skies. � Tom Pfeiffer, page last modified on 25 Nov. 2006.